I recently heard an advertisement for hyperbaric oxygen chamber treatment: sit in a pressurized tank and breathe oxygen. Studies show mixed results… but what about a SPIRITUAL hyperbaric experience? 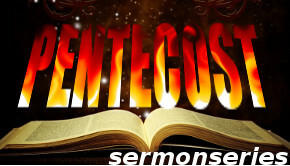 What Difference Did Pentecost Make? You Are Carefully Crafted By God; Remember Your Worth! You Are Powered By the Spirit; Remember Your Charge! You Are Connected to Christ; Remember Your Identity! Our living room media server died. It was a slow, lingering, complication-filled battle that led to its demise. Why am I bringing this up here? 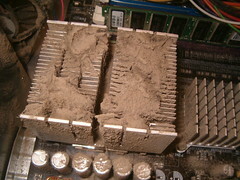 Because when I opened up the computer box, I discovered that it was full of dust. Such a simple, small thing… but left unchecked, it choked the life out of our computer. The fix would have been simple – take the computer outside, blow it clean with fresh air, and make sure that all its parts are well-connected. Are you seeing the correlation between my media server and our spiritual lives yet? All too often, we let little things, small things, pile up. We think, “oh, that’s not that important, I’ll deal with that later”… and then, before we know it, we’re getting clogged with the little things and we’re unable to breathe. Please note – I don’t have anyone specifically in mind, but the warning is sound: if we allow little things, small sins, to accumulate in our lives, they cause more and more complications. Those little things can grow to have devastating consequences. As we wrap up the summer of 2014, please take the time to deal with the simple things, the small things that might be accumulating in your heart. Bring them to God and ask the Spirit to blow fresh air through your life so that you’re renewed and ready for however the Lord calls you. That really grabbed my attention! I wonder how many of us *plan* to incorporate specific spiritual activities into our lives? I know, for example, that I have a general weekly schedule; I know when I’ll be spending extra time in study, I know when I plan to write my sermon and prepare for my Sunday School lesson… but how often do I make room for the movement of the Holy Spirit in my everyday life? It’s certainly given me pause for reflection: I ask that God would use me whenever the Lord saw fit… but are there opportunities that I’m missing because I’m preoccupied with just living my life? Are you? I’m going to use a post on my blog to keep track of random quotes that strike my fancy. No one knows, and the mystery is part of the appeal — some things are meant to be accepted and marveled at, not understood. Answers just diminish their impact.